Illamasqua is one of my all time favourite makeup brands. Their packaging, marketing, products and even social media interaction is spot on. They’ve had rave reviews about their Skin Base line and since I wanted something with a little more coverage, I was offered their Rich Liquid Range. The liquid foundation is said to provide maximum coverage so any redness, acne marks or pigmentation will be covered up with this product. At the time of purchase, I was suffering from major red marks so I thought this would be perfect. The product comes in a plastic sturdy but squeezy bottle which I love. It’s so easy to control how much of the product comes out without losing lots like you would with a pump. The cap screws on so you don’t need to worry about leaking or the foundation drying up. Now on to the good stuff, the foundation itself is more of a liquid substance than it is creamy. It is extremely pigmented so a little goes a long way, however I did notice that it doesn’t necessarily spread very well. It also means that in order for it to spread (I highly recommend you use a brush for application with foundation) your skin needs to be supple and moisturised. I have combination skin so at times my cheeks can get quite dry, but before I had a chance to tell the makeup artist this, she said that she would recommend Illamasqua’s Hydra Veil as the foundation doesn’t work well with dry skin at all. I’ll admit sometimes if i’m in a rush I skip moisturiser and so I did attempt to use this on one of those days (& without hydra veil either) and let me tell you, it was not a good look. It ended up looking extremely cakey and the foundation just wasn’t spreading. After that disaster, I decided to fully moisturise my skin before an application and I loved the result. It looked great, very even and had definite full coverage. My only gripe was after a long day I work, I got home and the foundation had separated. Now I’m not sure whether this is due to the moisturiser or if it’s a general fault with the product. Only very recently have I tried this foundation again using a silicon based primer (Smash Box Photo finish primer) and the results were fantastic. The coverage was flawless and after a 7 hour day under bright spotlights emitting heat, it hadn’t moved or seperated. If you’re looking for a full coverage foundation, I’d recommend you test out Rich Liquid in store and see how the foundation works for you. Try using your own moisturiser or primer underneath instead of theirs if you’re not planning on purchasing both. The highly pigmented formula works brilliantly when you know how. 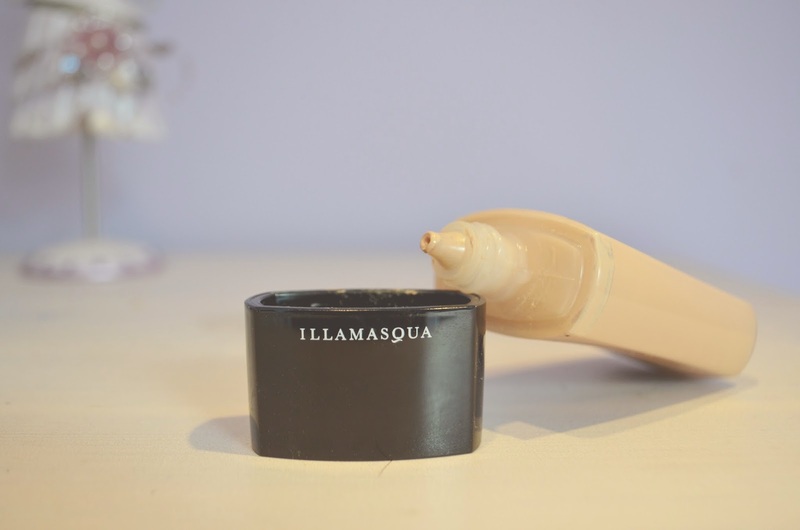 What do you think of Illamasqua products?